We all get frustrated by the sheer number of emails we get sent each day. And it?? ?s easy to feel overwhelmed by the ???noise???. But? ?email still proves to be by far the most effective way to market to consumers. According to Econsultancy, the Direct Marketing Association estimates a return on investment of 50:1 for email marketing. So here are 13 of our recommendations to help you give your emails the cut-through they deserve. 1. Measure the effectiveness of your emails with the right KPIs. Without metrics you can't judge how successful your email marketing efforts are. Make sure each email you send has a goal, as this will help you align them to your business objectives. 2. Divide your audience into segments. Don't 'batch and blast', but make sure your subscribers? ?are getting the most relevant content at the right time. A good idea is to segment by sales lifecycle stage, and then tailor the message according to where they are in the buying funnel. 3. Use an autoresponder - but use it responsibly. Send a thank you confirmation email when someone has signed up for your newsletter, or bought a product from you. This is a good opportunity to cross-sell and up-sell too. You? ?can automate this, and set up at different trigger points within the customer journey. 4. Attract the right kind of subscriber with a good email sign-up form, preferably on every page of your site, but at a minimum on your homepage. Make sure you include eye-catching reasons why someone should sign up, such as a free ebook, a special offer, or even just telling them that they will be the first get regular valuable content. 5. Combine email strategically with other messaging. Your emails should work in tandem with your other communications, and form part of an overarching contact strategy. Come up with clever ways to be as relevant as you can with your messages, in terms of both content and channel. Use Facebook messaging and SMS, for instance, to complement your email pushes. 6. Don't send too frequently. There is too much email in our inboxes these days, and part of the reason for this is that companies believe that more is better. Agree on a minimum and maximum frequency of send for each of your audience segments. You want to find the optimum number. So the key question to ask yourself is how many is one too many? Don?? ?t be afraid to experiment in order to find the right frequency. 7. Offer your subscribers a preference centre. How many times have you subscribed to a company?? ?s emails on a specific topic only to end up getting sent emails on everything related to their business? Anything that a subscriber feels is irrelevant to them is at best noise, and at worst a severe cause of irritation. So putting them in control of the type of content they are sent, and how often they are sent it, can only help their perception of your brand. 8. Consider including rich media content in your emails. Unlike in days gone by, it?? ?s now possible to embed rich media such as videos and podcast files into the email itself ??? so try testing different formats, and see how it affects engagement. 9. Split test your subject line (at very least) in all of your emails. Doing this for a percentage of your audience will quickly show you which version gets more clickthroughs, and you can then send the more effective version to the remainder of your list. Consider getting more sophisticated still, and split test sub-headers, body content and calls to action. 10. Align the design of your emails with the design of your other digital channels. Try to avoid what?? ?s known as 'dissonance' between the look and feel of your email and that of the landing page it?? ?s clicking through to. You want your audience to feel a familiarity throughout the user journey. This will help reduce drop-off. 11. Make sure your email looks as good on mobile and tablet as it does on desktop. Choose an email template layout that works on a mobile device. If possible use responsive design so the layout adapts to the size of the screen that it?? ?s displayed on. There?? ?s nothing worse than reading an email where you have to pinch the size of the content area to get it to fit into your browser. 12. Personalisation still works, but use it intelligently. Most people realise that it's done programmatically, but the statistics speak for themselves. In a 2015 study, Experian Marketing Services found that including the recipient?? 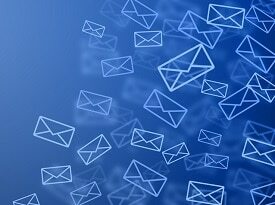 ?s name in the email subject line increased open rates by as much as 42%. 13. Encourage the clickthrough! People scan emails, so make sure your message is as salient as it can be. Try to break up the text with short paragraphs and bulleted lists, and review every single word to check that it?? ?s necessary. Whatever happens, you want to encourage your reader to click through from the email to your landing page, so make sure you have call to action buttons throughout. Download our white paper and learn more about what CRO is, and why you can't do without it.